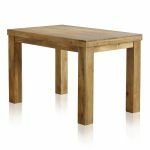 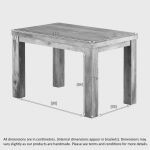 Mantis Light Natural Solid Mango Dining Table - 4ft x 2ft 6"
The Mantis Light Natural Solid Mango 4ft by 2ft 6 Dining Table is the jewel in the crown of the Mantis Light dining range. 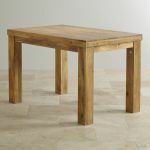 If you're tired of TV dinners and want to return to proper family time at the table, why not invest in a dining table so beautiful that no family member can object to a proper sit down meal. We avoid using any veneers or cheap MDF in our furniture, the whole range is solid hardwood and the high quality is undeniable. 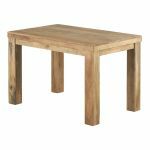 The Mango hardwood used in this table has been treated with a light coloured stain and a durable wax finish, giving a rich taupe glow to the chunky-cut wood. 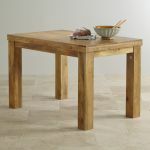 Choose this table with 6 chairs from only £669.00!